When you’re not at work, is your answering machine message working for you? The right message can make all the difference… and the wrong message can cost you potential new patients. 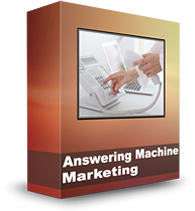 In this tutorial, you’ll get a proven marketing strategy for your practice answering machine. Sometimes simple is just better. This tutorial walks you through two, very carefully worked out scripts, for your answering machine.